Yogi Roth is a storyteller: seeking and uncovering the humanity in sports around the globe. A Pac-12 Networks college football analyst, Award-Winning Filmmaker, Scholar, New York Times Best-Selling Author, accomplished Coach, Motivational Speaker, Media Personality, Host and World-Traveler. Over the past 15 years Yogi has been driven by the power of sports and story. Yogi began his storytelling career after coaching football at USC, co-authoring the New York Times best-seller Win Forever with Pete Carroll, as well as his second book From PA to LA. As a filmmaker, he has produced and directed multiple documentaries with the Pac-12 Networks, NFL Films, Bleacher Report and ESPN, including the Emmy-nominated film Keep Climbing: 2013 Elite 11, and the award-winning film Life In A Walk. 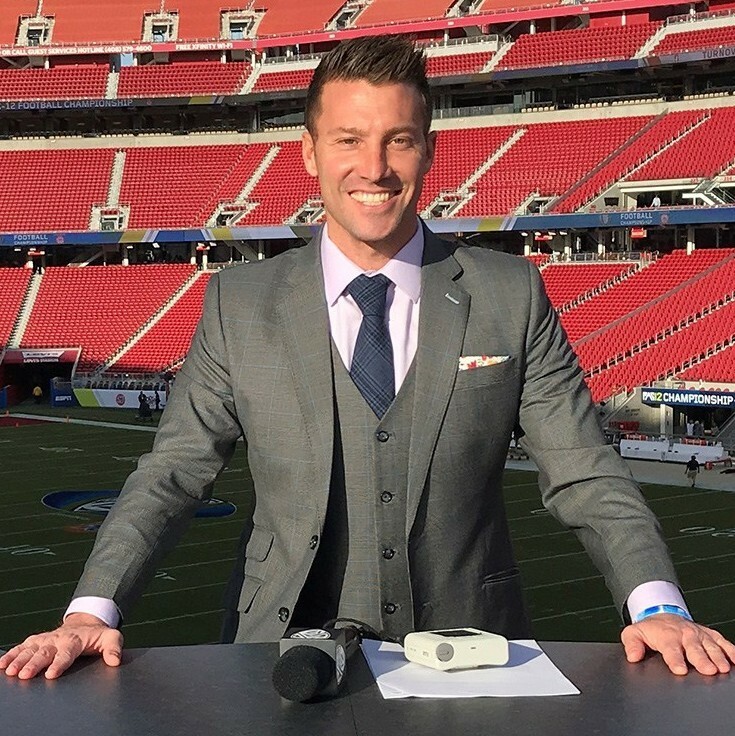 As a media personality, Yogi has been a host/college football analyst for ESPN, Fox and the Pac-12 Network, as well as a correspondent for Entertainment Tonight on CBS and beach volleyball on TBS for the last decade. In addition to his podcast The Yogi Roth Show: LIFE WITHOUT LIMITS, he has also hosted the Elite 11 for the last decade on ESPN, Bleacher Report, NFL Network and YouTube. Yogi, who gave a TEDx Talk at the TEDx Austin Women’s Conference, has spoken around the globe alongside brands such as Nike, World Surf League, JC Penny, Dignity Health, PMK*BNC, IMG College, USC, UW, Gonzaga and Capital One. In 2018 Yogi spoke at the SXSW Festival addressing masculinity in sports. Yogi also joined the Pac-12 Conference task force, formed to protect student athletes and address systemic issues threatening college athletics.